In 1948, Sir Donald Bradman led a 17-man squad to England to contest the Ashes over a 20-week tour. The touring party featured names who now rank as some of the all time greats in Australian cricket, including Miller, Lindwall, Harvey, Barnes and Morris to name but a few. Recognised as one of Australia's most cherished sporting legends, this squad remarkably progressed through the entire tour unbeaten; an exceptional record given that the tour contained no less than 31 first-class matches, and are now referred to in cricketing folklore as simply 'The Invincibles'. 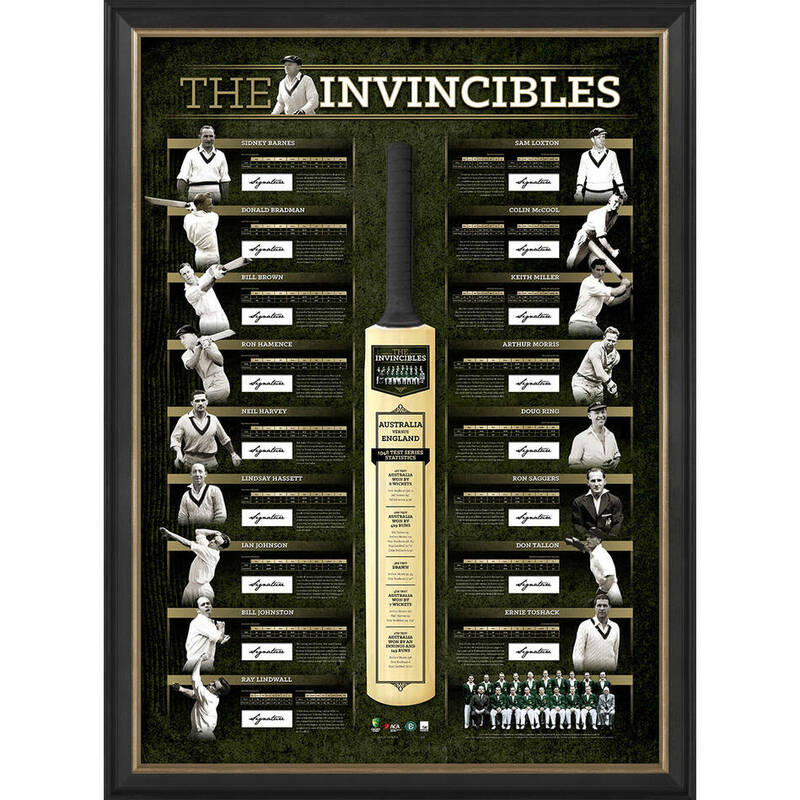 Official Memorabilia, in conjunction with Cricket Australia, is proud to release 'The Invincibles' Framed Deluxe Lithograph, a strictly limited display which pays tribute to perhaps Australian cricket's most dominant hour. Featuring authentic signatures sourced over time from each of the touring party, 'The Invincibles' is a fitting homage to this great story.